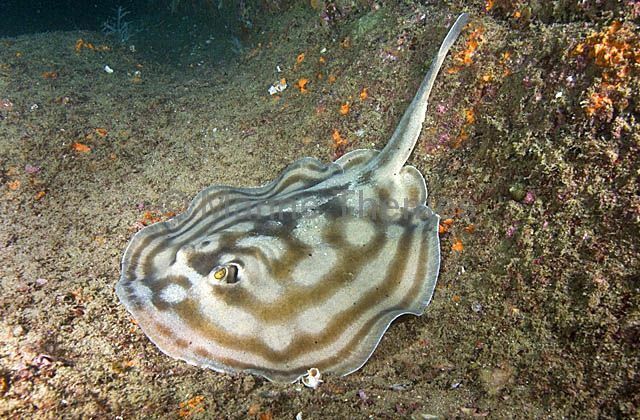 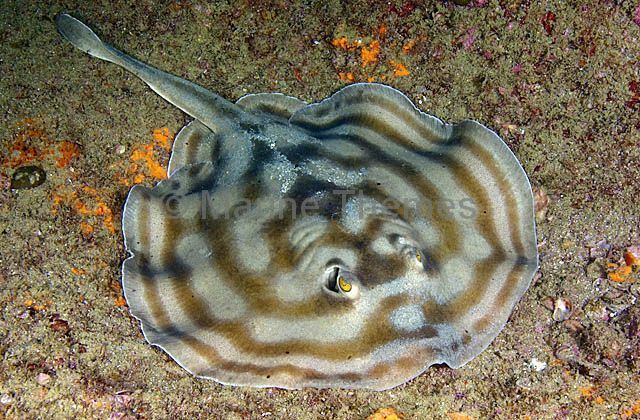 Concentric Stingaree (Urobatis concentricus) or Bullseye Stingray foraging over sandy sea bed. 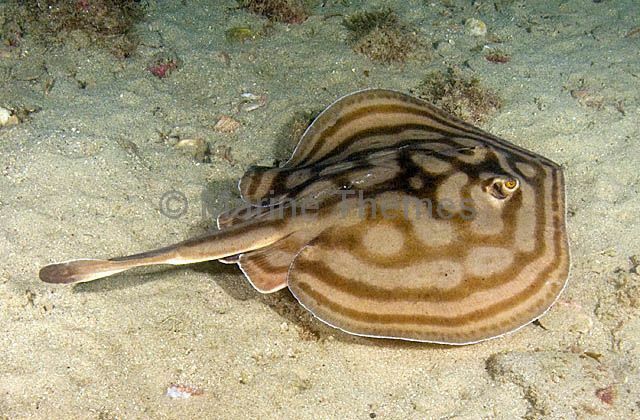 Concentric Stingaree (Urobatis concentricus) foraging for small crabs and shells buried in sandy sea bed. 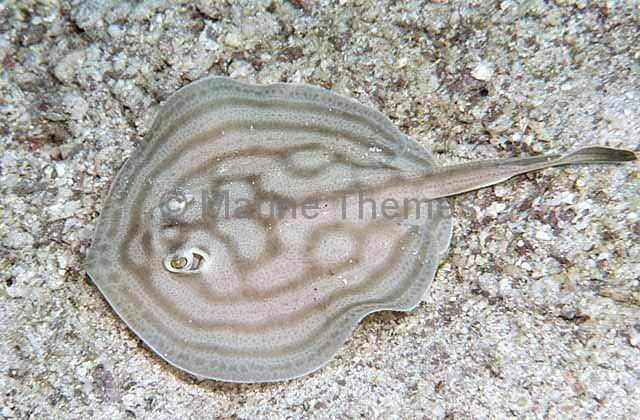 Concentric Stingaree (Urobatis concentricus) on rocky reef. 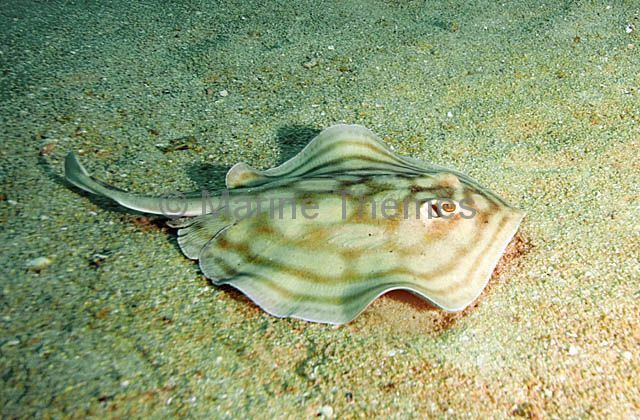 Concentric Stingaree (Urobatis concentricus) swimming over sandy sea bed.